People Magazine’s Most Beautiful Woman Alive for 2016 (Men’s Health has also called her “the sexiest woman alive”) is one of those popular celebrities who is remarkably likeable and a natural beauty. She believes in not hiding her natural assets and keeps her health and skin care regimes as basic as possible. Also long gone is the sun tan addiction she was once renowned for. These days she’s fully aware of the toll it takes on your skin and has opted for a more natural albeit much paler, look. We are of course talking about the gorgeous Jennifer Aniston, the star of the popular sit-com Friends and a host of movies including the likes of Bruce Almighty, Horrible Bosses, The Break Up, Mothers Day and so on. The casually natural looking beauty has a number of skin care tips, including her philosophy that less is definitely more. Of course, the fact that a long ago boyfriend told her she looks better without make up also may have had an influence on the direction she went with her appearance. He was spot on with his advice as it turns out. Today Jen goes with a simple daily cleanse, tone and moisturize to keep her skin looking in tip top condition. Her top anti-aging tips are to drink plenty of water – she drinks anywhere up to 100 ounces, or around 12 cups, a day. Get enough sleep is tip number 2 and tip number 3 is to use plenty of sunscreen. When it comes to health and fitness, Jen is a great fan of eating plenty of organic fresh fruit, vegetables and lean protein. She also tries to fit in at least 20 minutes of quality cardio exercise daily – either jogging or spinning. And she loves yoga, which she says has greatly improved her posture. Been getting a bit of a jolt lately when you look in the mirror and notice those wrinkles and fine lines on your face? Yes? Then it’s time to take action. Especially if you’d like to see a complexion somewhat resembling your former youthful self looking back at you! “That’s impossible!” you say, thinking regretfully about the years of neglect and haphazard skin care that have visibly taken their toll on your skin. A toll that’s going to be well nigh impossible to reverse, much as you wish differently. What if we were to tell you that it absolutely is possible to bid farewell to those irritating signs of aging that give away your age? To restore your skin back to its former healthy, smooth, youthful glory and give you back the confidence in your looks that glowing, young-looking skin brings! One of the few things in life that we can rely on with absolute certainty is the fact that from the second we’re born, we start to age. And as the years roll by the signs of aging pile up. Those fine lines around your mouth and nose, the crows feet that radiate out from the corners of your eyes, the wrinkles that crease your forehead, the sagging skin on your neck…. All those are devastatingly telltale signs that your skin has started to lose the suppleness and elasticity of youth. Fortunately, another certainty in life today is Skinception® Instant Wrinkle Reducer. A radically different skin care product that lets you slow down the visible and self-esteem crushing signs of aging and even erase them! In less time than it takes to put on your makeup. Jennifer Aniston Skin Care: Wrinkles on Forehead? Those fine lines around your mouth, nose and forehead. And the crows feet that radiate out from the corners of your eyes. Not to mention the wrinkles that crease your forehead and the sagging skin on your neck…. All those are telltale signs that your skin has started to lose the suppleness and elasticity of youth. Fortunately, another certainty in life today is Skinception® Instant Wrinkle Reducer. A VERY different skin care product! A skin care product that slows down the visible and self esteem crushing signs of aging and even erases them! In less time than it takes to put on your makeup. What is Skinception® Instant Wrinkle Reducer? The active ingredient in Skinception® is Argireline, a peptide that produces exactly the same results as Botox®. Upon application, it instantly relaxes facial muscles to effectively smooth away wrinkles and expression lines. Amazingly, you can literally see it working to tone and tighten your skin. Every time you use it. Apply Skinception® Instant Wrinkle Reducer in the morning for a great confidence boost that will keep you looking, and feeling, great all day. Going out again that night? One application of Skinception® typically lasts around 8 hours but not a problem. Just apply some more, pop your make up on over the top and go out and enjoy your evening with the self confidence that comes from knowing you look absolutely amazing. Did we mention how fast Skinception® works? Incredibly, within seconds of application you’ll notice a visible reduction in those demoralising lines and wrinkles! And you’ll feel invincible, ready to take on the world knowing you look great. That’s the Skinception® Instant Wrinkle Reducer effect. What’s more, Skinception® is scientifically proven to reduce the appearance of wrinkles and fine lines and give you back the baby smooth, silky soft complexion you enjoyed when you were younger. And we all know that when you look youthful, you also feel youthful. What would it be like – feeling like this every day! 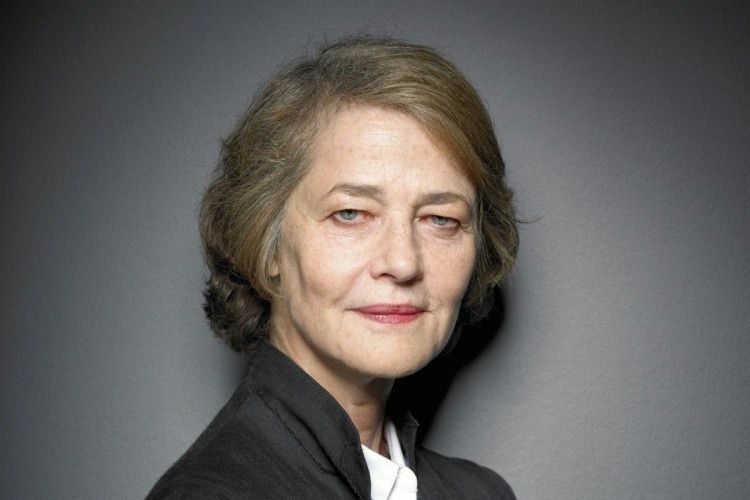 Age defyingly full of youthful self-confidence, smarter, brighter and a force to be reckoned with. Straight away, without effort, just by the simple act of using one skin care product. In fact, there’s nothing quite like the confidence and self-assurance of youth and the upbeat, positive demeanor that goes with it. Watch as those around you are positively affected by the new sparkle to your step, the determined glint in your eye and the way you exude confidence and vitality. What a great feeling – to be the envy of others thanks to your glowing, radiant, youthful appearance. That’s definitely the Skinception® Instant Wrinkle Reducer difference. Skin has 3 layers – the epidermis or tough outer layer, the flexible, strong dermis or middle layer, and the inner insulating fat layer. The epidermis mostly consists of keratinocytes, which are dead, hardened cells made from keratin, a type of protein. The dermis is predominantly made of fibrous, elastic tissues comprising elastin, collagen and fibrillin. It’s a very strong, flexible layer but as we age, we produce less collagen so the dermis tissues break down and get thinner. Our oil glands also become less efficient and we lose some of the fat from the inner fatty layer. These aging processes combined are what cause our skin to become thin and fragile looking the older we get. As our skin gets less flexible and supple, facial expressions like frowning, squinting, pursuing our lips, laughing, smiling and so on, start to leave fine lines and wrinkles. Quite simply our aging skin no longer has the elasticity to bounce back and smooth itself out. Yet, our facial expressions are one of our most important non-verbal communication tools. We use them all the time; it’s unavoidable. Then there’s our environment. Sunlight provides us with valuable vitamin D; in fact we’re specifically designed to obtain most of our daily vitamin D from the sun’s UVB rays via our skin. But again, as we age our skin becomes less efficient at producing vitamin D. The sun also dries out and ages our skin plus there’s the added risk of skin cancer. Factor in pollution and you have a potent mix of elements that all contribute to the aging process of our skin. But now you can fight back with Skinception® Instant Wrinkle Reducer. Guaranteed to reduce those signs of aging caused by a lifetime of non-verbal communication, the natural effects of aging and the damage caused by exposure to the elements and environment. And the speed at which Skinception® does this will amaze you. Skinception® Instant Wrinkle Reducer does away with the need for expensive Botox® and other cosmetic surgery procedures! That means spending less money, less risk, no needles and toxic substances being injected into your skin, and no endless visits to your doctor. Sounds great, doesn’t it! The same high quality results you get from pricey plastic surgery, done in the comfort of your own home, fast, effectively and safely. What’s more, you’re also removing the possibility of people feeling sorry for you because your face looks frozen, not rejuvenated…. Yes, we’ve all seen what happens when plastic surgery goes tragically wrong! And Botox® does after all get its name from BOtulinum TOXin, a potentially deadly neurotoxin produced by the botulism causing bacteria Clostridium botulinum. Why Is Skinception® Instant Wrinkle Reducer So Effective? Skinception® Instant Wrinkle Reducer is formulated using Argireline. To better understand how it works, we need to look at the “SNAP” receptor complex, a chemical process that controls the interaction between muscles and nerves. Every nerve has a nerve ending, called an axon terminal. Nerves that influence the actions of muscles have their axon terminal located in the neuromuscular junction, an area between the nerve and the muscle. Within the axon terminal are synaptic vesicles. These synaptic vesicles function as storage vessels for an important neurotransmitter called acetylcholine, which transmits signals or impulses from the nerve to postsynaptic receptors in the muscles. These impulses (or action potentials) initially travel down the nerve to the axon terminal, where they cause voltage gated calcium channels in the axon terminal membrane to open, allowing calcium ions to flow into the axon terminal. The rise in calcium levels in the axon terminal stimulates ‘docking’ proteins within the axon terminal. Each of these docking proteins correlate with specific receptor proteins, called SNAREs, located on the vesicle and axon terminal membranes. So each docking protein in effect locates its relevant receptor protein on the vesicles and axon terminal membranes respectively and ‘docks’ the vesicle on the axon terminal membrane in the correct spot. The vesicle then waits for a second influx of calcium ions into the axon terminal, which signals it to begin fusing with the axon terminal membrane and create a temporary ion channel into the neuromuscular junction, called a fusion pore. This releases the acetylcholine stored within the vesicle into the neuromuscular junction, where it’s broken down into its constituent amino acids choline and acetate. The acetate is received by receptors on the targeted muscle cells, which prompts them to respond appropriately to the original impulse carried down the nerve. The choline is returned to the axon terminal where it’s used to produce more acetylcholine. One of the docking proteins in the axon terminal is SNAP25. The peptide Argireline (a peptide is a small protein or a fragment of a protein) is a fragment of SNAP25. Therefore, it can mimic the actions of the complete SNAP25 protein up to a point. However, because it’s an incomplete version of the protein, it’s unable to complete the docking and membrane fusion processes correctly, thereby partially blocking or reducing the amount of acetylcholine released. The result is a reduction in the frequency of the facial muscle contractions that cause wrinkles and fine lines. Now that’s got to be a whole lot safer than injecting neurotoxins into your skin! And the results speak for themselves. Watch those lines and wrinkles disappear as your skin relaxes and is subjected to fewer muscle contractions. You’ll love it! Just as you’ll love the way it also transforms your appearance and your confidence and turns back time for your skin. 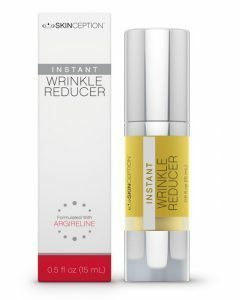 “Instant Wrinkle Reducer has really helped my self-confidence. It’s About Aging Gracefully Like Jennifer Aniston … Or Is It! As you get older, you come to accept where you’re at in life. If you’re a Baby Boomer or early Gen X person, you’re generally comfortable with yourself. You’ve come to terms with life, you’ve established your identity, you’re savvy about most things and, overall, you’re generally satisfied. Family, career, security and so on. But you may not be quite as happy about how age, and those life experiences which ironically have made you the person you are today, show up on your complexion. Powerful Skinception® Instant Wrinkle Reducer helps realign your inner self with your outer self. So, you can step out in life with the confidence and assurance that comes with knowing that not only do you feel young, happy, full of life and vigour on the inside, you also look it on the outside too. You’ve also reached the stage in life where you enjoy the finer things but you’re also an astute consumer. You know you don’t necessarily have to spend a fortune to get the best and that often it’s the science and effectiveness of what you buy that’s more important. You’ve also seen enough of the damage they cause to know that you want to avoid harmful chemicals wherever possible. Especially when it comes to what you put on your skin. That’s where powerful Skinception® Instant Wrinkle Reducer comes in. It produces identical results to Botox® without the risk of putting a toxin into your body. And you’ve grown up hearing that the best way to ensure your skin retains as much of its youthful glory as possible is to cover up when you’re outside, use quality skin care products and eat and sleep properly. But apart from that, and getting cosmetic surgery done, there’s not a whole lot you can really do about reversing the visible effects of time on your complexion. Sound familiar? Well, now you don’t have to accept it because Skinception® Instant Wrinkle Reducer has turned that perception on its ear. You don’t have to let nature, and time, take their course. You can take matters into your own hands and play ‘God’ with your own skin. Without having to go down the surgery route. We’ve made a great restorative agent even better, if that’s possible! Now not only are those wrinkles being smoothed out as your skin relaxes, they’re also being plumped up from the outside in, giving your skin volume and snap. The magic ingredient we’ve added to Skinception® Instant Wrinkle Reducer is Hyaluronic Acid. The combination is nothing short of amazing. It’s also a clinically proven breakthrough. A rich, soothing formula with superior wrinkle reducing and line erasing properties. It’s a scary sounding name for possibly one of the least corrosive, most soothing and luxuriously moisture-laden substances there is. Hyaluronic Acid (HA) is produced naturally in the body by fibroblast skin cells. It’s a vitally important water-retaining gel-like substance; a single molecule of HA can hold up to 1000 times its own weight in water. HA is an integral component of not just our skin but it also cushions our joints and nerves, is the primary filler in our eyes, and of course keeps our skin and hair hydrated. HA also assists with tissue repair, and helps hold the collagen and elastin in our skin together. Unfortunately, it’s also one of those things we start losing the capacity to produce naturally fairly early in life, leading to wrinkles and reduced moisture retention in our skin. And it’s this moisture that our skin predominantly needs to keep its dewy, fresh plumpness. Because of its superior moisture holding qualities and its ability to help maintain the skin’s collagen and elastin fibres, HA is a valuable component in good quality skin care products. Topically applied pharmaceutical grade HA restores moisture to the surface layers of the skin, plumping out wrinkles and smoothing away fine lines to give your skin a baby-smooth, soft and silky tone. At the same time, it helps repair elastin and collagen to restore suppleness and elasticity to your skin. HA is also used in plastic surgery procedures where it’s injected into the skin to plump up and smooth out wrinkles. And now we’ve combined it with Argireline to create possibly one of the most age challenging products you’ll find. Defy the aging process like never before with the powerhouse combination of Argireline and Hyaluronic Acid found in Skinception® Instant Wrinkle Reducer. If you believe your body’s largest organ is worth protecting and you want the supreme confidence that comes from knowing you look great, then put the aging process into reverse gear. Firm, healthy, head turningly youthful, glowing skin CAN be your new reality moving forwards. Still skeptical? We’re not. In fact we’re so confident that you’ll love the way this product makes you look and feel that we offer a 100% money back guarantee on your purchase. So if for any reason you decide Skinception® Instant Wrinkle Reducer is not for you, just return it to us for a refund. Jenna Tailor is a serious health fanatic who loves nothing more than sharing her passion for fitness and a healthy lifestyle with anyone who’ll read her articles! She was brought up in a family where healthy meals were the exception rather than the rule. As a result, she’s had close encounters with obesity, and its associated health problems. Enough to set her on a journey in the opposite direction, and inspire a desire to take others on that better health journey with her.